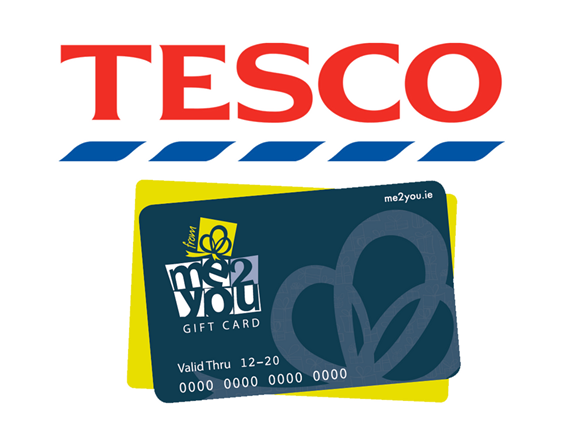 FromMe2You gift card and Tesco Ireland announced a partnership that will see the gift card accepted at 148 Tesco stores* nationwide. *FromMe2You gift card is valid at 148 Tesco Ireland stores nationwide, card not valid at Tesco Petrol Filling Stations. FromMe2You, launched by Retail Excellence is Ireland’s new multi-store gift card. It gives great choice with thousands of partner stores and offers many exclusive spending environments. It has so much to offer its customers with exclusive retailers, a bespoke recognition and rewards platform and a business order portal.